*This is a guest post written by professor Tim Birkhead. I will also add my personal opinions at the end of the article. There are several million fewer individual birds in Europe today than there were fifty years ago. We are living in a rapidly deteriorating environment. For our own sakes we should be concerned about the decline in wildlife. Birds provide a barometer for our own well being, but they also have a right to be protected. 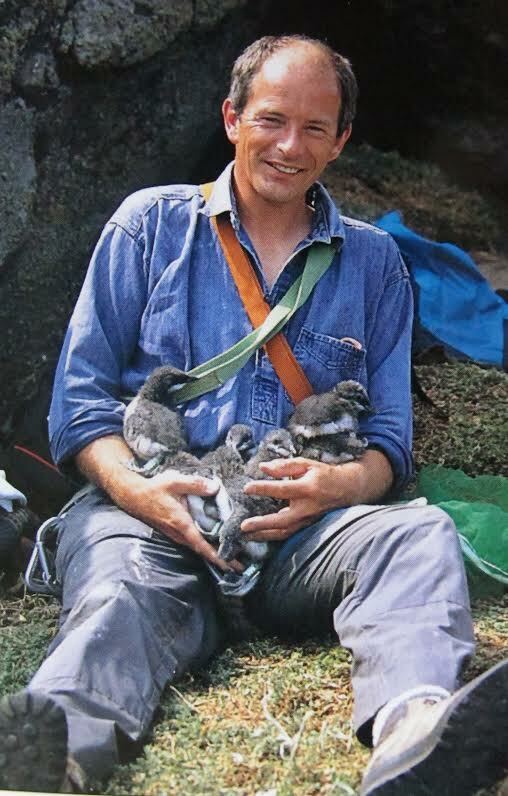 Tim Birkhead (with guillemot chicks) in the 1980s. Image credits: Tim Birkhead. I have been studying guillemots on Skomer Island, Wales for the last forty years. Guillemots are long-lived and don’t start breeding until they are seven years old so a long term study is essential if you want to understand their biology. The motivation for this study is two fold. First, I’m interested in how the guillemot population works. Second, I’m interested in protecting guillemots – and other birds. 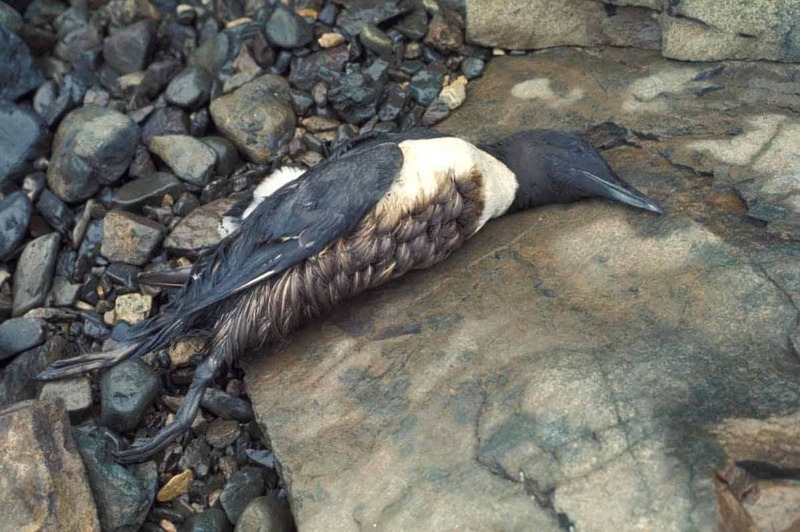 Guillemots are desperately vulnerable to oil pollution and it was probably oil pollution that caused the population on Skomer to crash from around 100,000 pairs in the 1930s to just 2000 pairs in the 1970s. 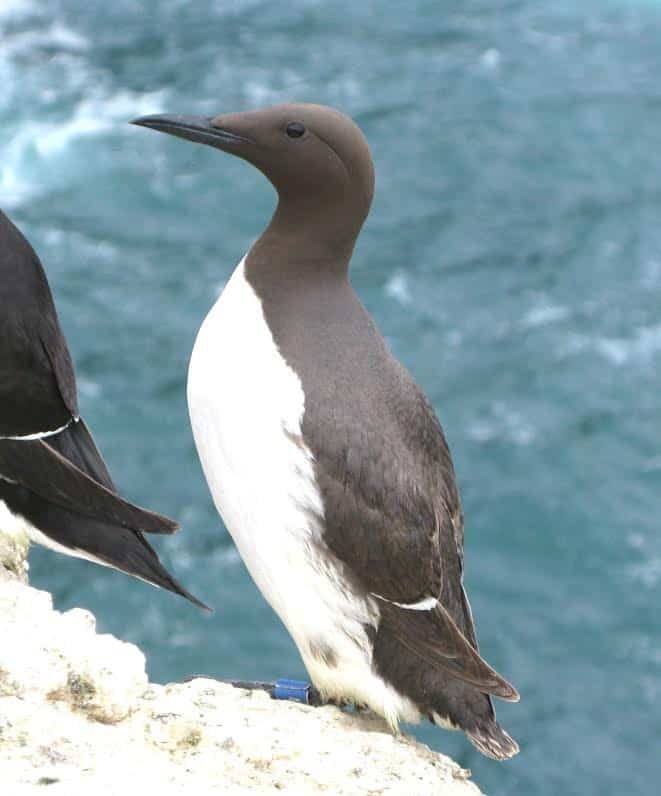 For the last 25 years the guillemot study has been supported by the Countryside Council for Wales (CCW). They funded the project because they recognized that monitoring and research were valuable parts of running a National Nature Reserve like Skomer. In late 2013 a new quango Natural Resources Wales (NRW) consumed CCW and there were funding cuts. CCW were forced to focus their limited remaining resources on projects they were legally obliged to support. That didn’t include Skomer’s guillemots. Within weeks of this decision however, persistent storms resulted in one of the worst seabird disasters in decades, with at least 40,000 dead birds, including many guillemots and many of our individually marked birds from Skomer. It was referred to as ‘a seabird wreck’. The storms are part of climate change – and there’s likely to be more to come. I contacted NRW explaining why it was important to understand the consequences of the ‘wreck’ and I asked them to reverse their decision: they didn’t reply to my message. If you can help, that will be extremely grateful. The support this project has received so far has been extraordinary. Governments might not care, but individuals do. *Guest post ends here. Following paragraphs are written by ZME Science. Personally, I believe this is truly a remarkable project, and I really want it to succeed. Not just because the goal is laudable and we have a moral duty to protect Guillemots and other birds; not just because Professor Birkhead is passionate and competent about the issue. But because I hope that even when governments and authorities don’t care, individuals do. Crowdfunding is a tool which I hope more and more researchers will start to successfully use, and this is a great place to start. We care, and we have the chance to make a difference. The choice is yours.